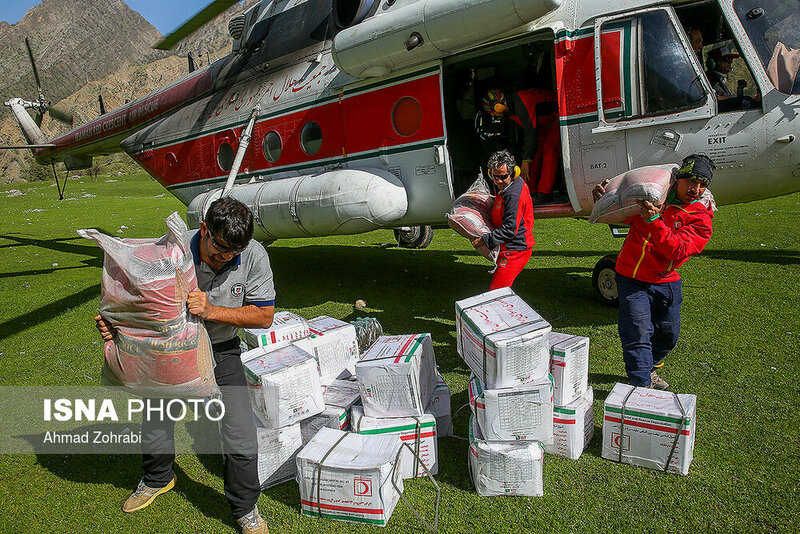 Less precipitation in Iran's flood-hit parts in the past two days has enabled rescue workers to have access to some parts of Lorestan province, particularly in the cities of Pol-e Dokhtar and Mamoulan, where thousands of people are marooned. Meanwhile, Iran Meteorological Organization (IRMO) says a new wet front is going to hit Iran, save its southeastern parts, in the next 48 hours. At least 62 people have been killed in the past two weeks from flash-floods triggered by the worst rains in Iran in the last decades. 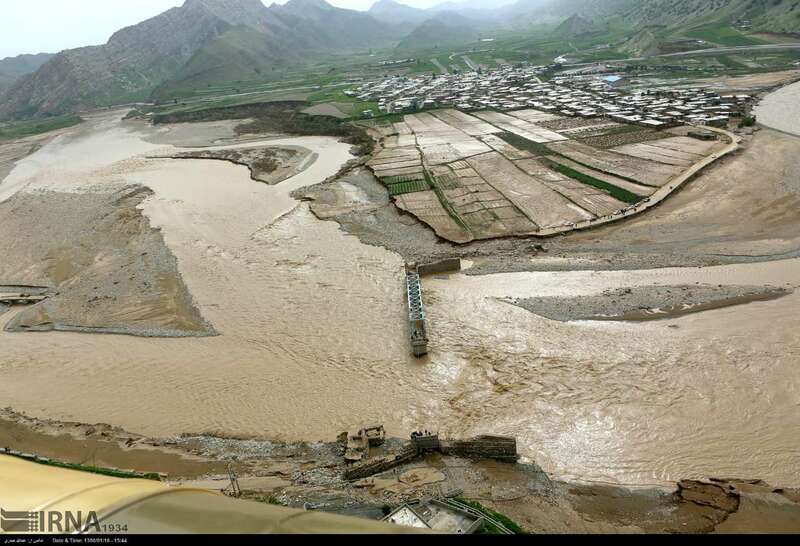 Getting access to some parts of Lorestan became possible on Wednesday, April 3, while the city of Pol-e Dokhtar and its surrounding villages are under thick layers of mud. 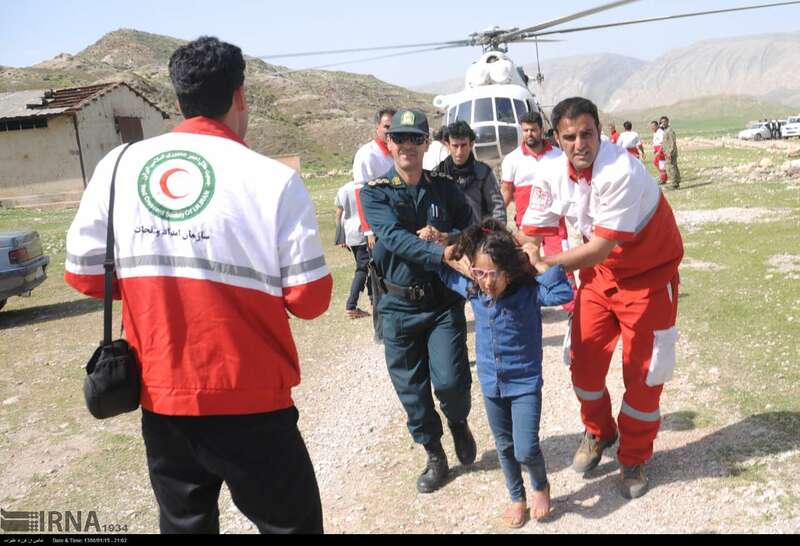 Images and footage circulated on social media show hard hit people living in severe conditions in Pol-e Dokhtar and its surrounding residential areas. The Governor of Pol-e Dokhtar, Ne'matollah Dastyari, said on Thursday, April 4, that a significant part of the town, with more than 27,000 population, is still without electricity, drinking water, and natural gas. "The roads leading to the city are damaged by the flood to the extent that it has slowed down relief efforts," Dastyari lamented. Earlier, there were reports concerning the dismissal of Dastayari, but they were later denied by the Governor of Lorestan, Mousa Khademi. Meanwhile, official reports on the situation in the small city of Mamoulan are contradictory. In a TV interview on Thursday, the Friday Prayer Imam of Mamoulan, mid-ranking cleric Mohsen Mousavian expressed his gratitude for the procedure of relief operations and the presence of the army, as well as the members of the Islamic Revolution Guards Corps assisting the disaster-hit people of the city. 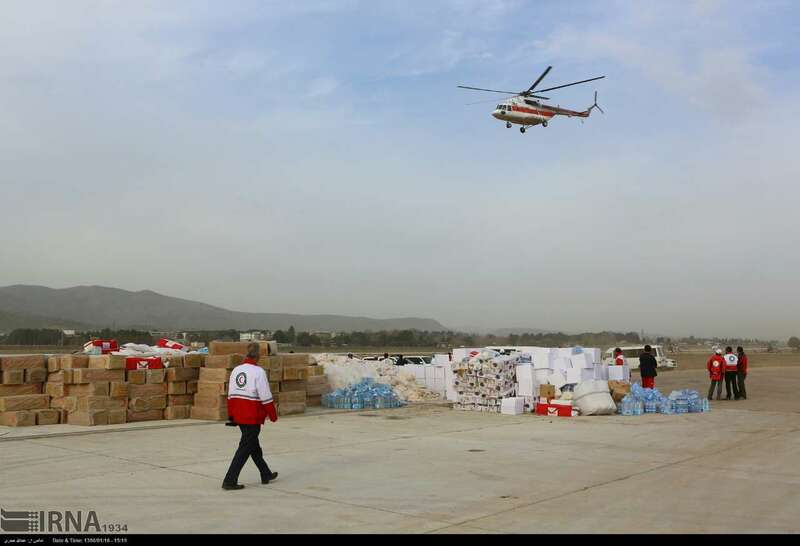 However, hours earlier on Wednesday evening, he had lambasted slow-moving rescue efforts, insisting, "Residents of Mamoulan had not eaten anything in the past 72 hours while watching helicopters whirring and passing over their heads." 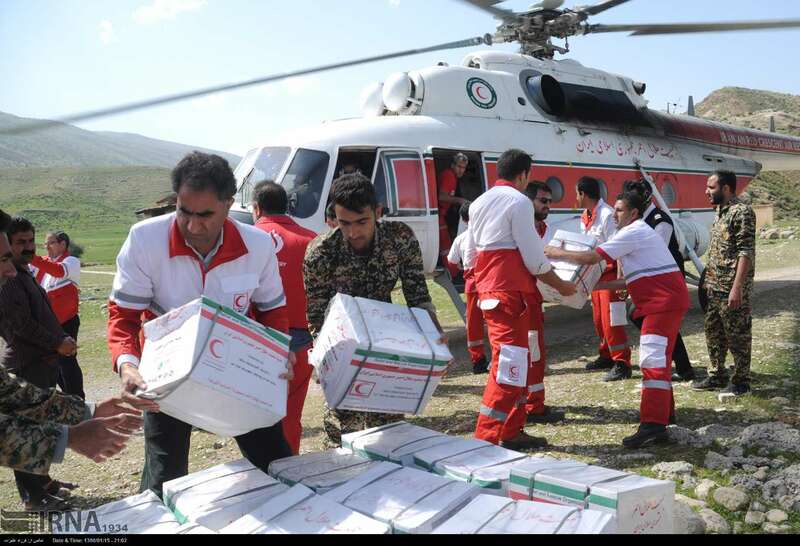 In the meantime, an official of the Pol-e Dokhtar County, Habibollah Mousavi praised the role of the military and the Red Crescent helicopters in accelerating the relief procedure. According to the local education department officials in Plo-e Dokhtar, 55 schools have been totally demolished in the city. Rail in Khuzestan being washed away by flood. Far to the south, in the oil-rich province of Khuzestan, the cities of Hamidiyyeh, Abdolkhan, Sheiban, and Karoun were reported to be facing a new wave of floods. 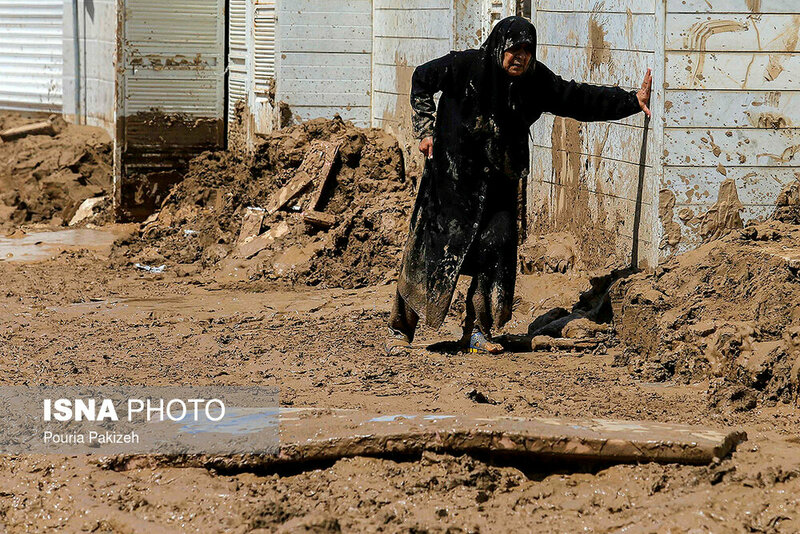 Other towns of Khuzestan are also struggling with floods, mud, and inundation. Furthermore, the Dez River overflowed on Thursday, inundating a part of Andimeshk to Ahvaz railway, bringing the traffic of the trains on the line to a halt. 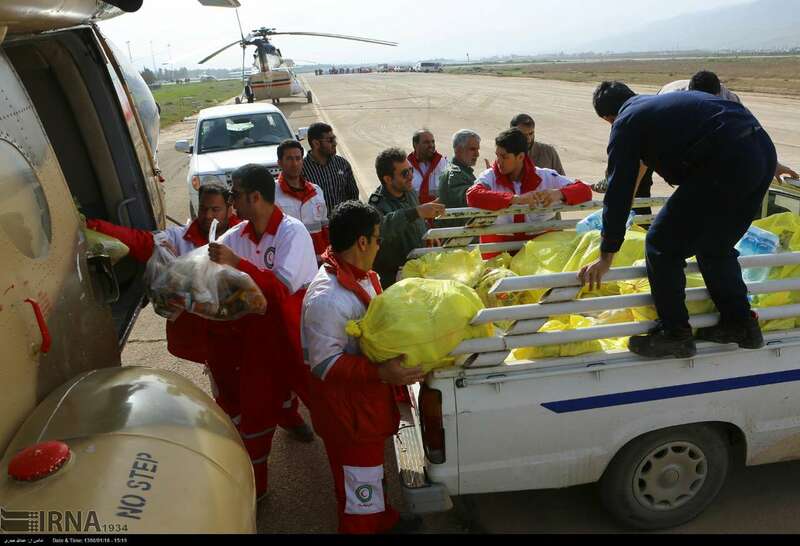 Ali Asghar Peyvandi, the head of Iran's Red Crescent, said he feared many villages in Khuzestan "will be inundated" as flood waters moved south towards the oil-rich province. "With the possibility of dams overflowing, we have made preparations to accommodate 100,000 people," he told state television. 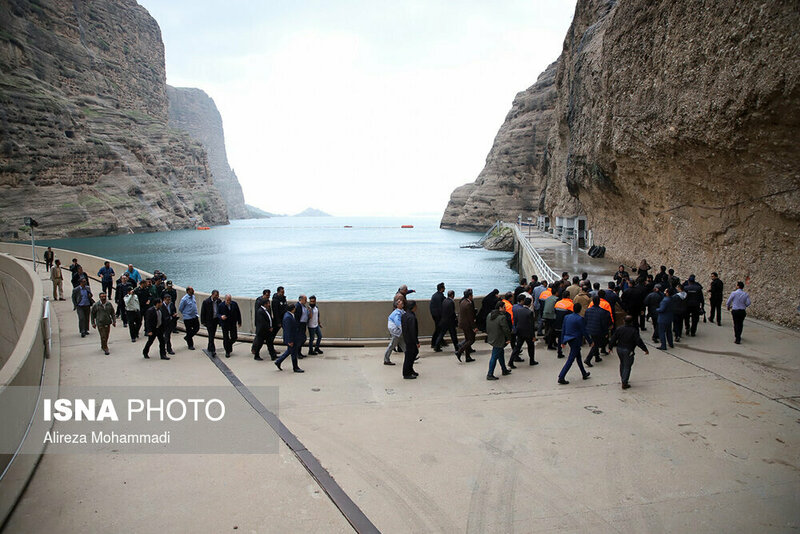 Khuzestan has an extensive range of dams, but officials said water was flowing into them at a fast rate. In some cases water levels were only 70cm lower than the dam crests, they reported. "Our dams are more than 95 percent full," Governor of the province, Gholamreza Shariati, told the monopolized state-run TV. 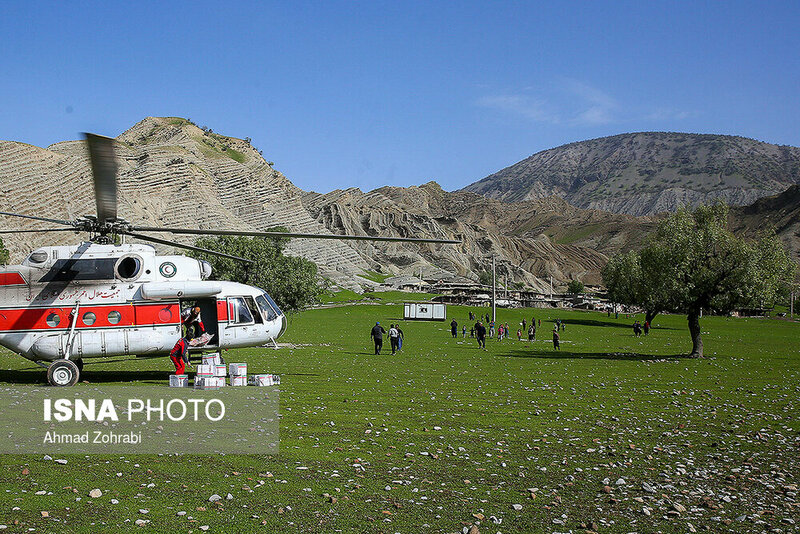 In Ilam Province, western Iran, the relief operations are described as unsatisfactory. 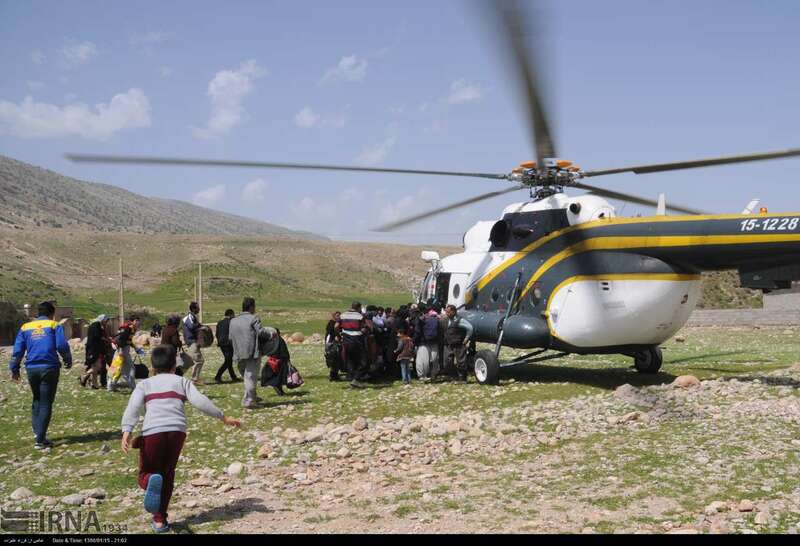 Lambasting authorities for ignoring preventive measures, Ilam Prosecutor-General, Afshar Khosravizad said, "The relief efforts, especially in the district of Mazhin, are so unsatisfactory that the area is on the verge of crisis", adding, "The aid reaching the area are minimal." Moreover, authorities in Chahar Mahal & Bakhtiari Province say more than 2,000 residences have been demolished by the flood in twelve towns and 185 villages. 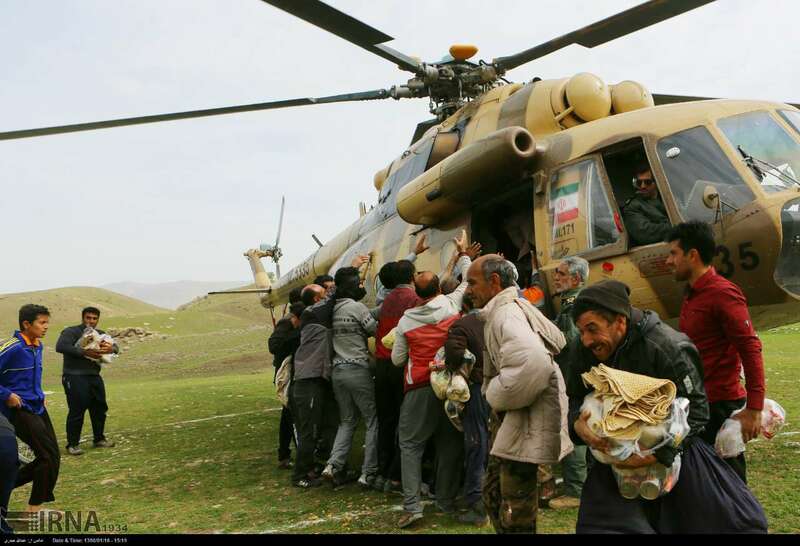 Meanwhile limited international assistance has started reaching Iran. The issue is if authorities can distribute both domestic and foreign aid.